Featuring a selection of the state-of-the-art ebikes, Derby launched the UK’s largest electric bikeshare scheme in June. 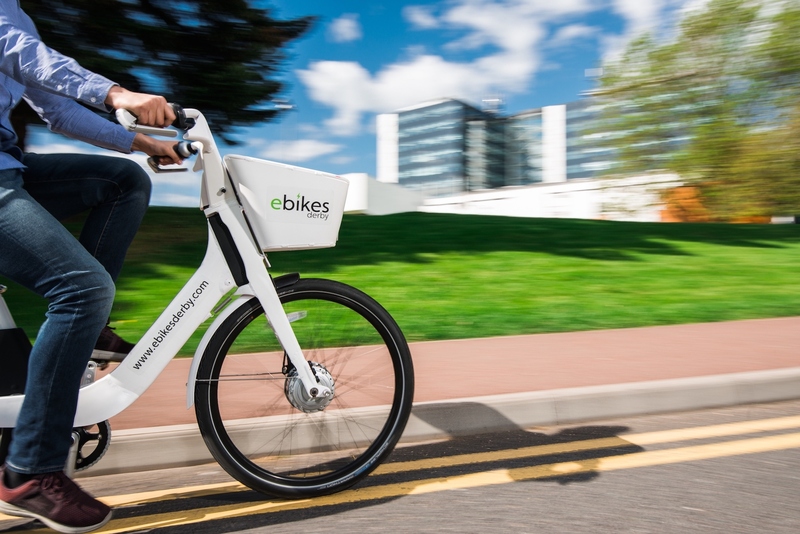 A total of 200 ebikes provided by US-based Social Bicycles, can now be found at 30 docking stations across the city, with the day-to-day running being handled by Hourbike – the UK’s longest established bikeshare operator in the UK. In addition to being the country’s largest electric bikeshare scheme, the technology behind the ebikes in Derby is also being used in New York and San Francisco. Customers pay 3p per minute to ride the ebikes (there’s a minimum charge of £1 per rental) after signing up through the Social Bicycles app, or via the eBikes Derby website (www.ebikesderby.com). There is a maximum daily charge of £12 and customers can pre-load credit onto their account. Docking stations are currently found at the following locations: University of Derby sites, Rolls-Royce, the Railway Station, Derby Arena, the Council House, the Market Place, Victoria Street, The Spot, Castle Ward, the Roundhouse, Royal Derby Hospital and the Rail Technology Centre. We would encourage local cyclists to take a look at the website, go for a ride in the city and report their experience back to us. We understand that there has been a high demand from people in Derby trying out the ebikes, so book well in advance!